Stambolovo Winery yields high-quality grapes from own old and new vineyards for making fine wines. 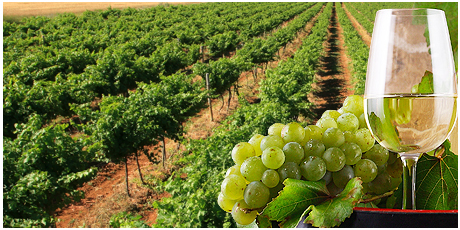 It is our belief that our own yield of high-quality grapes is the key to the creation of good wines. Therefore STAMBOLOVO WINERY manages appr. 40 hectares of vineyards in the regions of Stambolovo, Sakar and Haskovo, where the climatic and soil characteristics are perfect for growing red grape varieties. In the past few years we are putting great efforts into the renovation of our vine massifs and we implement the most advanced viticultural methods and modern equipment to tend to our vineyards. The main grape varieties we cultivate are Cabernet Sauvignon and Merlot, the classical reds that are perfectly fitting to the climatic and terroir specifics of the region, as well as some Chardonnay, Sauvignon Blanc and Muscat. We also grow some native varieties, specific for Bulgaria, such as Mavrud, Pamid and Dimiat. In implementation of our special company programme for viticultural development we are planting new vineyards, and we also take steps to renovate and increase our masiffs of Tamianka - the indigenous grape breed of the region.